Suspended feather stencils in 100% brass. Graceful feathers cascade in 100% brass. Handcrafted and lightweight stencils, these beautiful earrings will add a little shine to any outfit. From Migration's in-house line and made in small batches, each one is unique and nickel free. 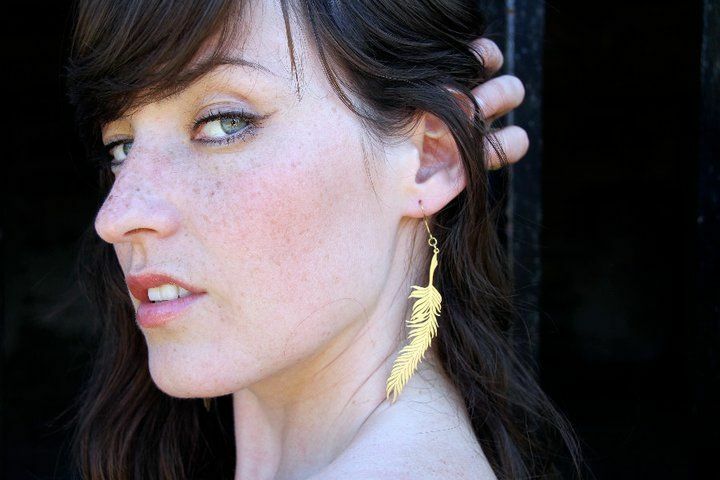 Also available in sterling silver feather necklace, brass ring and painted feather stud earrings.